There is energy in everything. For things to flow in your life, you need an environment that energetically supports it. For Kim Julen, founder of Finding Your Fiji, that is achieved through Feng Shui. 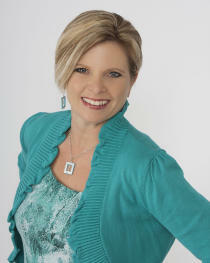 She is a dynamic thought leader, speaker, and Feng Shui Intuitive Coach. Kim shares how she came upon her journey of helping people prepare for that emotional process of clearing clutter and welcoming all of the feeling, energy, and essence of living. She shares her story of moving from Minnesota, sight unseen, to Maui while giving inspiring insights about seeing the positive instead of the negative, being an empath, and angel readings. 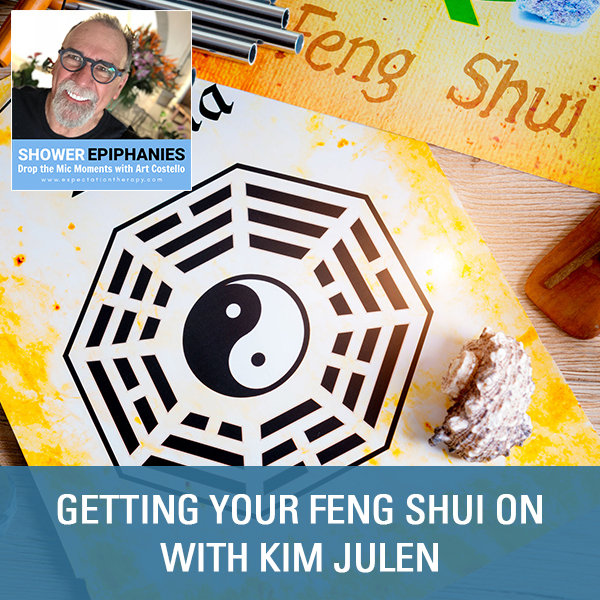 My guest is Kim Julen, Founder of Finding Your Fiji as a feng shui expert and psychic. Kim is a certified feng shui practitioner and IFSG Red Ribbon practitioner, a certified Angel Card reader. Angels in homes talk to her and they always have helpful information to share. In 2017, Kim moved from Minnesota to Maui, sight unseen, to make her dream life a reality. Through her private coaching, feng shui consultations and angel readings, Kim brings harmony to your head, heart and home. She is passionate about helping you find your Fiji, whatever that may be for you. Welcome, Kim, to the show. I can’t wait to talk to you. Thank you. I’m excited. Your story is inspiring to me. I love the whole essence of having epiphanies in the shower. I always tell people that epiphanies are thoughts, but most people think of them as these big booms that happen and you get these big things. Epiphanies happen all the time in our heads and they’re a precursor to our expectations. If we don’t act upon them, then they sit in our head. I want to know your story because I’m interested in how you left Minnesota and went to Maui, one of the most beautiful places in the world. How did your journey start? It has been quite the journey. I’ve been here almost a couple of years. It happened very fast. It’s one of those things when you open up and allow yourself to surrender that things fall into place. What happened for me is I had a sense for a long time that I was not meant to stay in Minnesota. I don’t love winter, that’s part of it. I felt a calling to go somewhere else, to be somewhere else and I wasn’t sure where that was. I was paying attention to the signs and I kept getting indications that it was Maui. Maui was where I was meant to be and I was like, “This is a big deal.” Selling my house, selling everything, moving away from everyone to a place I had never even visited. I’d been to some of the other Hawaiian Islands but never to Maui. I’m connected spiritually-wise. I like to connect in, ask for signs, I like to ask for help because I need all the help I can get. I asked my angels and guides, “If I’m meant to do this, please send me a clear sign. Something I cannot mistake.” The next day I got a package in the mail. I was in the process of a Secret Santa sister exchange. It came from someone I did not know. To this day, I still don’t know who sent it to me. It was anonymous. I got this package and I opened the package up and the gifts were in the bottom and a couple of handbags cushioned them. The first bag that I pulled out was turquoise blue and it said, “Maui Diver’s Jewelry,” on it. Talk about hit you over the head. I was like, “There’s my sign.” That is what I needed to do it and start leaning in. How did that work for you? People in their heads a lot of times say, “Let’s do it.” It takes something a little deeper and it’s faith because you cannot move, sight unseen, from Minnesota to Maui on a whim. You have to have a lot of faith. It may be a whim that you do it, but there is a faith in it that everything is going to be okay. I get truth bumps or we call them chicken skin here in Hawaii whenever someone says something right and true. You hit it right on the head. That’s it. Faith is a huge part of it because I needed to trust that I was going to be taken care of. I needed to trust that everything was going to be okay because I didn’t have the money to move. People say, “You should have a whole bunch of money when you move to Maui because it’s expensive and trying to find housing and all that stuff.” I did not have that. I ended up using the money I got from selling my house to make a move. I see it as more of as a leaning in. If I would have thought about all the things that had to happen for me to move here, even selling my house alone, clear out a four-bedroom house that I’ve been living in and my kids’ stuff. One of my kids was living with me at the time. He did have another place to go immediately, but I was like kicking him out of the nest. Leaning into me is taking one action at a time. I got the guidance to call my friend who was a realtor and have her come and see what I could get for my house. That was one of the first steps. Little did I know that less than a month later, I would have my house in the market. Things happened super-fast that way. I write a lot about expecting the unexpected. How do you expect the unexpected? It’s in preparation. It’s preparing your mind for things unseen. I learned it in Vietnam because we never knew from moment-to-moment what was coming next? What was going to happen? You have to develop this sense of expecting the unexpected. A lot of people don’t think about it, but when you do think about it and you start your mindfulness and preparing your mind to expect the unexpected, you learn how to adjust to things. Did you have that sense about you? Part of it for me is a little bit of a shift on that, about expecting that everything is always going to work out. Sometimes expecting the unexpected can also be about expecting what they say, “Be prepared for the worst.” I’m all about being in the space of everything is happening for me and everything is lining up for me. I’m being taken care of. I found a place to land when I first arrived here and that was all serendipitous too in how I found that place. I had that place for about a month. I was able to find another place for a few months. It turned out I had to find a new place in January, which is prime vacation time here. Many different people I talked to said, “You’re looking for a place in January. Good luck.” I was not going to buy into that and I said, “I am always able to find places to live easily and effortlessly. I’m going to find the perfect home. It’s going to be amazing.” I’ve been in this place for over a year. I’m renting, but I love it. Everything lined up. My other lease was ending an odd day like January 7th and this place was available on January 6th. I’m glad that you reminded me that we think differently than other people. When you said you think in the positive, I do too. For a negative to come into my head is rare. When I think about expecting and preparing for things, it’s always in the positive. It’s never in the negative. You reminded me of that when you said that because I forget that other people don’t think like us. That’s what I’m trying to do in educating people about their expectations is to change their mindset about it and to think in the positive instead of a negative. How does feng shui play into that? Feng shui, to simplify it, it’s a way to create an environment that energetically supports the things that you want to bring into your life. It’s creating this beautiful container. What I’ve seen happen is it speeds up the Law of Attraction, the things that you want to be, to do, to have. 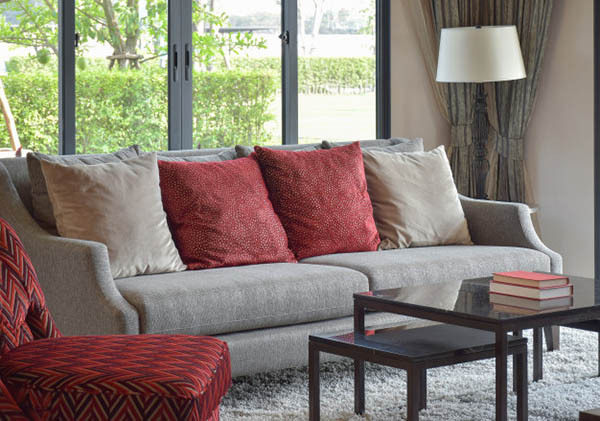 When you make simple changes in your home, it helps those things flow to you more quickly. Feng Shui: Feng Shui is a way to create an environment that energetically supports the things that you want to bring into your life. I’ve seen some things where people say that coming into your house a certain way affects it and all things. I always found it interesting because I believe that there’s energy in everything. Energy is what drives us. When I was nine years old, I went to a hilltop and lay on my back because I was feeling abandoned and trying to figure out where my life was going to go and happen. When I went to Harvard to speak, an astrophysicist told me that when I was nine years old and put out that energy, that it’s played the full course in my life. Here it is many decades later. How many ever years it is, it’s finally returned to me full circle. He said, “I’ve never met anyone who has lived at full circle as you have.” It brought goosebumps to me. I had never thought about stuff like that. Now, I believe the world does operate on energy and the energy we put out comes back to us through the Law of Attraction. We all know people that are negative and they remain negative because they keep running that negative energy. Everybody, get out of the negative, get into the positive. Going back to that expectation, watch what you’re expecting. It can be something as simple as saying there are many deer around. This is a big thing in Minnesota because at certain times of the year, the deer are running on the highways and running on the roads and things like that. Certain neighborhoods have a lot of deer. People say, “There are many deer. Watch out for the deer. Be careful that you don’t hit a deer.” What often happens then is they dry in that thing because they’re focused on avoiding it, but the universe doesn’t hear that don’t, not or no. You have to catch yourself. I would say that I do still have negative thoughts, but I typically will catch myself and say, “Cancel. I don’t want that.” What is it that I do want? When something comes in and I’m thinking about something and I get anxious or whatever about something, I’ll stop and I’ll be like, “I don’t want that. What is it that I do want?” and putting that out there. That’s a great way to live because you cannot be anxious at some point in your life. We all experience it. What I’ve always preached to people is how you manage all those things, the anxiety, the fear. Fear paralyzes and many people are paralyzed and don’t do what they want to be doing because of that. I know that you’re into angel readings also. I have a super strong connection with the angels. I work with a lot of the archangels and I’ve had a strong connection with them since I was a little girl. How that goes is people don’t believe you and you push it aside. I didn’t reopen to it until about 2012. I like to say jokingly that they haven’t shut up since. They’re always talking to me. Speaking of energy and vibrations, I went to a Wayne Dyer event and Abraham-Hicks. Esther Hicks was onstage with Wayne Dyer, the first time and the only time they had ever been. My girlfriend had said, “We need to go to this.” I was like, “Let’s do it.” We didn’t have a lot of time. We flew and stayed overnight and flew out the next day. It happened to be in California. The energy in the space with Wayne Dyer and Abraham and everything that they bring was high. At that time, I wasn’t in the place where I am now. I would have trouble staying awake. It was such a high vibration. It wasn’t jet lag, it was energy. The next day, my girlfriend was still sleeping and I woke up and I went out with my journal onto our little patio at our hotel. All of a sudden, everything was clear. I could hear my angels and guides completely clearly. They were talking to me, telling me I was going to be channeling and I was going to be doing this work. I cried and said, “Find somebody else.” It was emotional. It got me to that state where I can be open. Since then, they’re guiding me on how to open more and more each time. The angel stuff is the easiest thing that I do because I don’t have to do anything. I have to relay information. Tell me a little bit about your childhood. I’m interested in where you grew up, how you grew up and what influencers you had in your life. I see you almost like a flower. I can see you growing and then blossoming into this beautiful woman that you’ve become. My childhood was by all standards great. I grew up in a big family, youngest of six, Catholic. I went through Catholic grade school, Catholic high school and Catholic college. That’s where I got introduced to the angels when I was young through religion. The thing about it was I am empathic and I did not know that growing up. Growing up was difficult for me because being an empath you feel other people’s emotions. Often, it feels they’re your own because they’re real. If I was around somebody that was depressed or angry or different things, I would take that in. I was social, but I also needed that time for myself to be away from people and I didn’t understand then why that was. Now, I get it. I understand the empathy and I’m able to also clear and get when I’m picking up something from someone else. It also was difficult because I had a big mouth. When I could feel or sense something about someone, I would say it. It didn’t always work out super well. I lost all of my friends in seventh grade and that’s part of it because of me being vocal about something that I was sensing or feeling. It’s an interesting thing growing up that way, but you learn to cope and part of it is you put a shield up around yourself. I had that for a long time. Feng Shui: Even clearing clutter in your home is an emotional process. I’m asked quite often if I’m an empath and I always say no. I say that because I don’t feel what other people feel, but what resonated with me is when you said that you confuse that with your own feelings. Anybody who’s watched my homepage and website and watched my video on there and sees me cry the way I do, I’m very sensitive about things. People confuse that with being an empath because I’m not afraid to show my emotions. I show them anywhere. I could be watching a Budweiser commercial and cry. It’s the way I am. Do you have any thoughts on that? I feel we’re all empathic to some degree. We all have that. We talk about the five senses. There are a lot more senses than the five. I feel it’s another sense that we have. It’s something that helps people like you and I connect with people. We can sense and we can feel that compassion for what they feel because we do feel it. It does touch us. That is part of being empathic is that emotions or different things that happen do touch us deeply. It’s a release. Tears are such a good release. It’s good to do that and to feel your feelings. Many people don’t want to feel their feelings. They’ll do whatever they can not to feel them. It’s much better to feel them and allow yourself to have that. We should all be doing that. If I’m talking to vets and stuff, I’ll often say my way of releasing was through tears. My way of releasing all the stress and all that was through the tears. It was healthy. I never looked at it as not being healthy. At the time, it was difficult. Guys made fun of you. They see it as a weakness. They soon learn it wasn’t a weakness. It’s strength because what happens for a lot of people is when they don’t want to feel their emotions, they get bottled up and then they’re going to come out somehow, someway. Something will be brought into your life that you do have to feel it. Through the feng shui and angel readings and that stuff, do you bring that out in people? Do you teach people? Do they come to you already believing? Do they come to you doubtful sometimes and then you educate them and enlighten them? Most of the people I work with are open already. The people I tend to attract are open people. They understand everything is energy. They understand on some level that the stuff in their homes is impacting them. 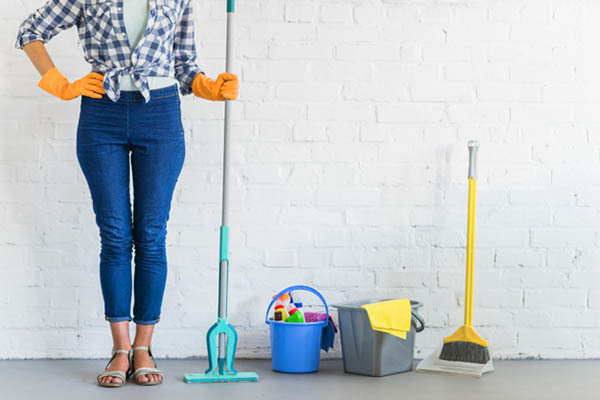 What happens for a lot of people is they don’t necessarily know how to deal with the emotions because even clearing clutter in your home is an emotional process. You have an attachment or energy to the stuff. When you’re releasing, it’s also helping release stuff within you. There is an emotional thing to that aspect of it. That’s one thing I do work with my clients mainly in my private coaching where we work through the emotions. 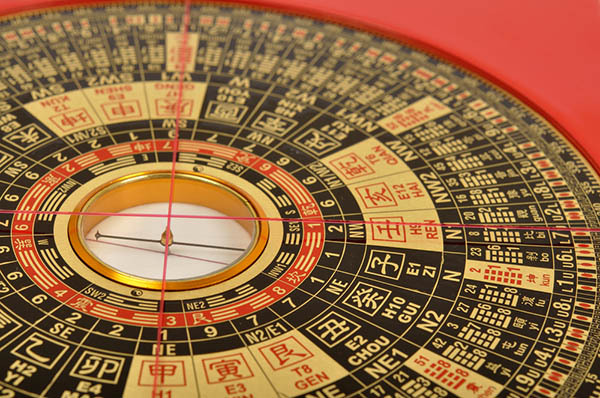 Feng Shui: When homes aren’t moving, there’s often energy that is stuck there. We’ll get to the core of what they feel because often they have something that brings something up. They get triggered by something. What’s underneath is an old pain or an old wound or something from their childhood even that they weren’t able to process at that time. Going deep into that, being able to feel it and fix it for that child, it allows them to move on from that and not keep having this Groundhog Day. Sometimes people get in this with relationships or jobs or different things. They are like, “I keep attracting the same thing over and over again.” Once you get down into the emotion of what is this trying to show you, then you’re able to shift it. I had an experience when my wife passed away, I could not clean out her closets or anything for a few years. To tell you the way that the energy works and stuff, it happened for me. We had an electrical fire. A power surge came through the breaker box and it had been shut off because I wasn’t at home. It caused sparks during the drought to catch the short grass around the house. It was a wood siding house. It caught the house on fire. By the time the fire department got there, the entire structure was gone and everything was gone. All of that was taken care of for me. The universe does have a way of doing that. If we are not dealing with something, it will. This happens for a lot of people with jobs where there’s a job that they’re meant to leave. They know they’re not meant to stay there, it’s a toxic environment or whatever and then they get let go or the company moves or something like that. The universe does have a way of cleansing and of pushing us in the direction we’re meant to go. Your one child is in Minnesota. How many children did you leave back in the States to go to Maui? I have two boys. They’re 22 and 25. My oldest son is coming to visit me. He hasn’t been here yet. The other one has been here a couple of times already to visit. My whole family is there. My dad is 94. He is back there, all my sisters, my brother. I do tend to go back a couple of times a year to visit. It shows the strength of your character because to leave your dad, your sons, your sisters and brothers. To leave your family back there and to go there without knowing anyone or a place to be or anything like that is the strength of convictions to follow through on what your beliefs are. Was it an epiphany from that handbag at the bottom of that thing to go there? The epiphany came a little bit before that and then the guidance about where I was going. I was working with a mentor at that time and we were on a group call. I was checking in to see if we were in what she terms the love territories, if we were living where we are meant to be living essentially. What came in is she asked about that, “Are you living in your love territory?” I immediately knew it was a no. That was my epiphany around that. I knew Minnesota was not it. Receiving that package in the mail with the bag that I was like, “This is where I’m meant to go.” Many people mention as you do about the courage and all of that. I didn’t have a choice because I knew if I stayed in Minnesota, the energy there was heavy for me and things were not flowing with my business. They were going fine. They were going okay, but it wasn’t easy. It was a lot of work. I knew if I stayed there it was going to get worse and worse. I felt the easier path for me was moving into Maui, even though on the surface it seems it was harder. I know for some people to make that decision is difficult, but the strength is in your open-mindedness and your mindfulness that you were able to do that. What if it said to go to Russia? That would freak me out a little bit more. I do have friends that have been called to move to France or different places. That would have been a lot bigger stretch for me. If your strength of conviction would have been as strong to go out of the country as it would have been, I’d choose Russia because it’s cold. That’s the one thing I’m like, “Thank you for letting it be Maui.” I’m grateful and honestly, I talked to other friends that have moved here too and it’s one thing that I don’t think I’m ever going to be not grateful for living here because it is beautiful. It is amazing. To be here in the middle of February to be able to drive down the highway with my arm out the window and to be able to swim in the ocean year-round. There are many things that even if I get in a space where I’m like, “I’m spending so much for rent,” or different things like that. It’s like, “I live here.” The beach is a block-and-a-half. I can walk to the beach from here. This was something interesting about Maui too is that it brings up stuff for you to move through because we don’t have the exterior things to complain about or to focus on. It is gorgeous and it is amazing to live here, but then it allows us to work through our stuff. Some of my friends will say it’s like personal development on steroids living in Maui because you can’t avoid what needs to be seen, which is a cool thing about here. We all have places like that. For me, it’s on top of a hill. When I was little and I went up to the top of that hill and found comfort out at my ranch, I can climb that hill and look out and this energy flows out of mayhem. We’re talking about doing a podcast. I have a friend that has a TV show in Dallas and she wants to come down and hike up to the top of this hill and I said, “Hauling all that equipment up that hill, somebody is going to hate us both.” It’s pretty steep. It has what we in Texas called 100-mile views. I take people when I’m working with them in Expectation Therapy. I tell people to find that place where they’re relaxed within themselves, feel safe and comfortable and they can explore their wants, needs and desires. They can start identifying them and start gaining what they want out of their life. That’s important. We all need that space, that place. Is there anything that you want us to know about you? For people that want to experience the magic of Maui, I have a retreat that I’m planning for November of 2019. It’s one-third full already. I do still have some openings for that, for people that want to experience Maui. The activities on Maui are amazing, but also living aloha. Living Aloha is an essence, it’s a feeling. It’s how you do your life and living in that space of aloha and welcoming all of that stuff. That’s a beautiful thing that is happening as well for me coming off for those that want to share with that. I have a group I’m running, a Treasure Box Club. I do that a couple of times a year. That is a fun, amazing, feng shui adjustment. It’s super powerful for attracting abundance. I’m also getting involved with realtors, which is fun for me because they touch many people’s lives when they’re buying and selling homes. It’s a real emotional thing when people are going through that. When homes aren’t moving, there’s energy often that is stuck there. That’s one of the services I provide is clearing homes. I’m able to clear the home. I had one gal not too long ago that had a home in New Jersey. She was trying to sell it for a few years. On and off the market, it never got one single offer. Her husband had committed suicide in the space. Energetically, people feel that. It’s a beautiful place, beautiful home, but they come in and there’s something that doesn’t feel right to them. I cleared it. I did energy work. I was calling the angels. I anchored the space with angels and literally within 30 days she had it sold. Helping raise the vibration of the planet is part of what I’m up to too. I have a website called FindingYourFiji.com. I also have a YouTube channel under my name, Kim Julen. On YouTube, I offer a lot of free videos, free monthly angel readings for all the zodiac signs. I also have feng shui videos on there as well. Kim, it’s been a pleasure having you on the show. We’re going to have to do this again. Anything I can do to help you, give me a jingle and I’m here for you. Same here, I’ve enjoyed swirling with you. Kim Julen, the founder of Finding Your Fiji, is a dynamic thought leader, speaker, and Feng Shui Intuitive Coach. Her feng shui expertise, intuitive skills, and business knowledge create a unique approach to living a vacation-like lifestyle. In 2017 Kim moved from Minnesota to Maui, sight unseen, to make her dream life a reality. She is passionate about creating a life and business filled with ease, daily magic, and joy! Kim’s book in process, Minnesota to Maui, details her journey and shares actionable steps to navigate life and change. She has created an 11 step system to bring harmony to 3 key life areas: Head, Heart & Home. Through her inspiring stories, enthusiasm, and light, Kim helps audiences envision, embrace and navigate their next move. Kim is a WWS Certified Feng Shui Practitioner, IFSG Red Ribbon Practitioner, and Mentor and Certified Angel Card Reader. Kim graduated from St. Thomas College and has trained with world leaders in business, spirituality and personal development. Kim’s work includes group and private Coaching, Feng Shui consultations and Angel Readings and she has been self-employed for more than 13 years.